The prime reason why Nelson-born John Caselberg (1927-2004) moved to Dunedin was to study medicine. Gradually poetry took hold, and during the 1940s and early 1950s, he submitted work for publication in local journals. 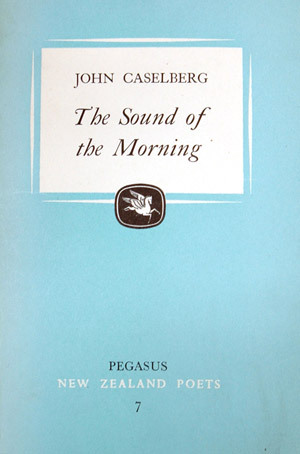 The Sound of the Morning was his first poetry book, published by Pegasus in 1954. In 1961, he received the Burns Fellowship based on his project theme of cultural contact. He completed Duaterra King, a four-act verse play concerning Maori-European culture contact and the establishment of the Rev. 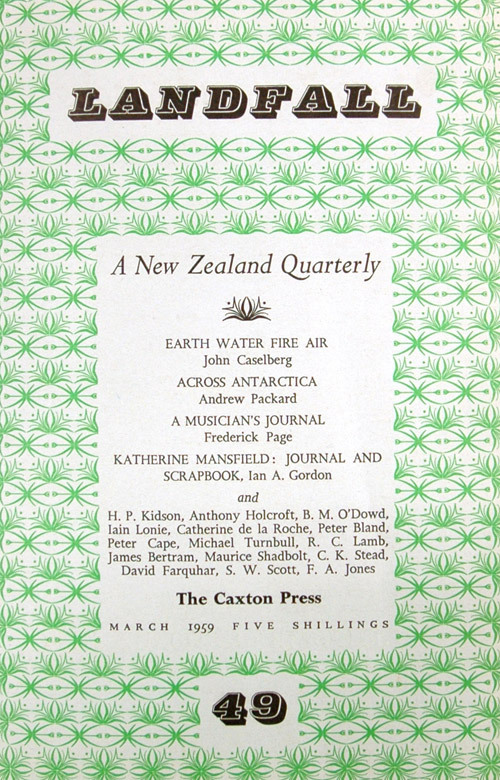 Samuel Marsden's mission in New Zealand. Although given public readings, it has never been entirely published or performed. 'William Wilberforce to Everyman' is an extract from Caselberg's work, printed by Keith Maslen in The Bibliography Room, University of Otago, in 1972. John Caselberg, 'William Wilberforce to Everyman', from Duaterra King. Dunedin: The Bibliography Room, University of Otago, 1972. Bibliography Room/Otakou Press Archive; ___, The Sound of the Morning. 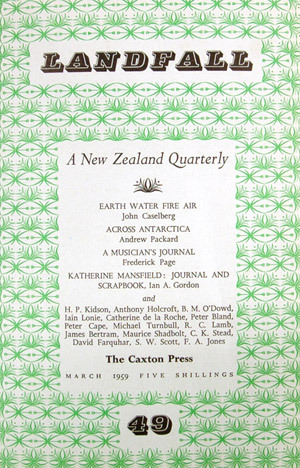 Christchurch: Pegasus Press, 1954. Brasch PR 9640 C37 S6. 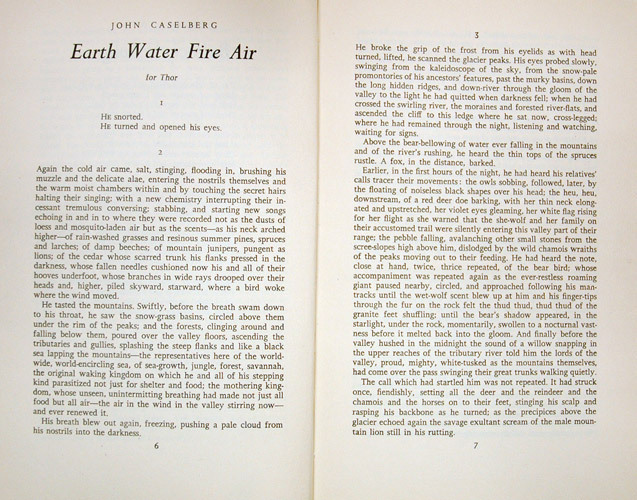 One prose piece John Caselberg wrote prior to receiving the Burns Fellowship was 'Earth Water Fire Air', which Charles Brasch published in Landfall, March 1959. Thor was the name of Caselberg's dog. 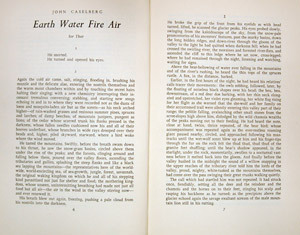 John Caselberg, 'Earth Water Fire Air', Landfall, vol. 13, no. 1 (March 1959), pp. 6-28. Brasch Collection.